Builder, Interior Designer and leading expert in the ‘Hamptons style’, Natalee Bowen has created stunning properties both here in Australia and in New York City. And now she has created three handy guides to achieving the Hamptons look for under $10,000, $20,000 and $30,000 for Scyon Walls. On the blog today she’s giving us a sneak peek at her top Hamptons tips for any budget. “Following generations of brick buildings, we now steer toward more sophisticated aesthetics. 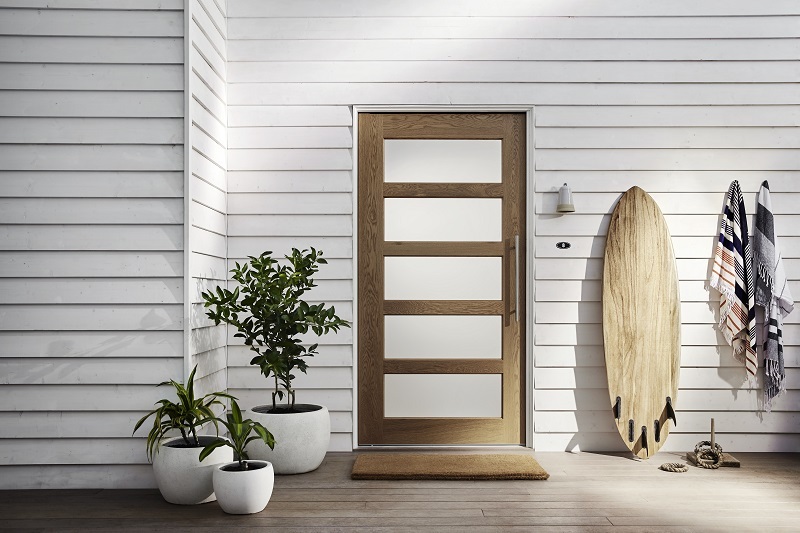 The Hamptons is a fairly new trend for Australia, which we’ve adapted to incorporate our long established love of weatherboard` seen in Queenslander and country properties. The Hamptons is synonymous with relaxed coastal living and it’s this easy-going elegance and resort-like home design that appeals to a growing number of us. The way we live also plays a huge part in the trend as it fits perfectly with our love of outdoor entertaining and open plan living,” says Natalee. 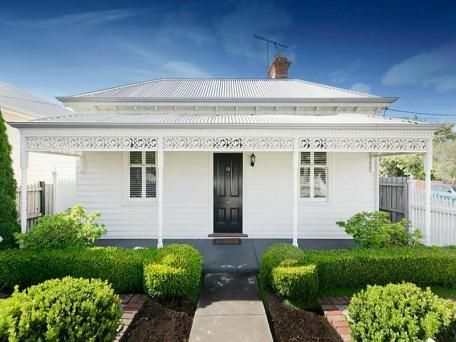 Prioritising the main elements is key when your budget is on the lower end. 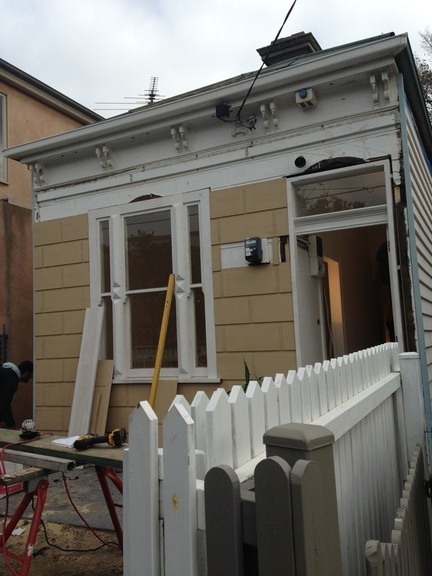 Begin by painting your exterior in a classic Hamptons palate of whites, greys, creams and taupes. As the façade makes up two thirds of the building, there’s a lot of opportunity here to set your home’s stylistic tone. The Hamptons aesthetic is made in the details. Use Axent Trim around windows on rendered homes to create elegant texture that will stop the façade from being plain. If you have a front garden, add Jasmin and box hedges to add colour and shape. Moving into the home, try to clear as much clutter as possible to make room for key furnishings like linen lounges, cane chairs and large lamps. Accent your light and bright rooms with a blue colour palate in anything from navy to egg shell. Also add more textural layers with natural textiles such as jute rugs. 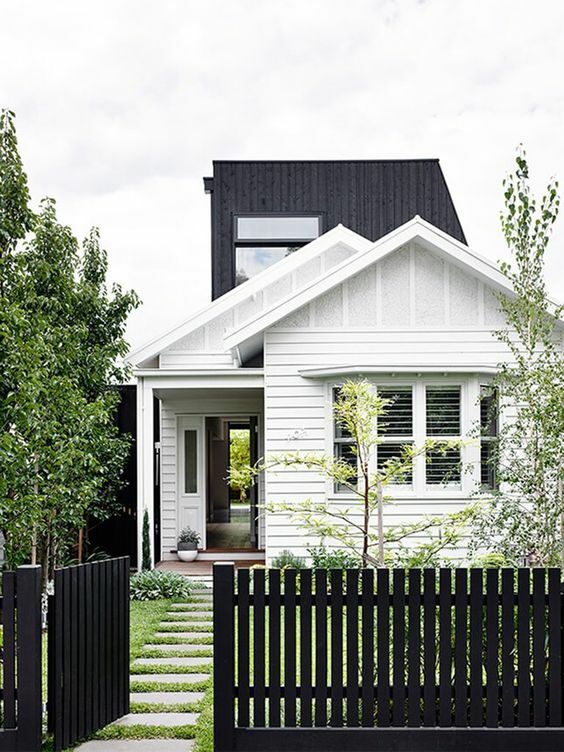 While elements such as neutral colour palettes, natural textures, internal panelling, high ceilings and traditional cabinetry all remain definitive features of this look, nothing is more ‘Hamptonsesque’ than a weatherboard exterior, which mirrors the shingles used in the US. 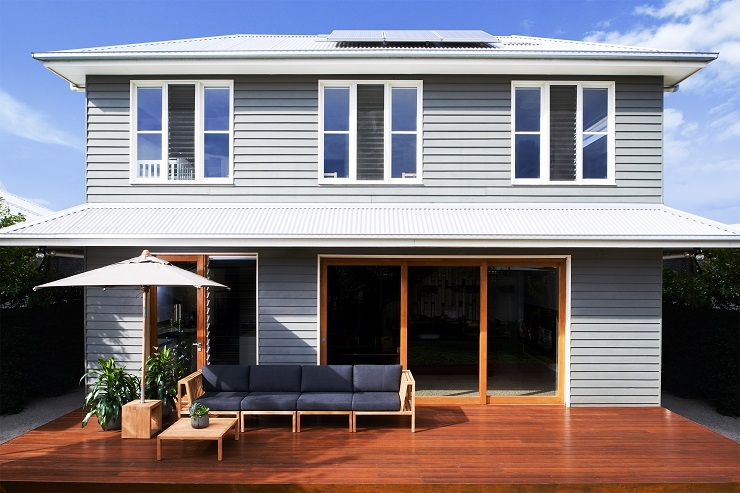 Shingles don’t do well in our often harsh climate, so my go-to in Australia is Linea Weatherboard. 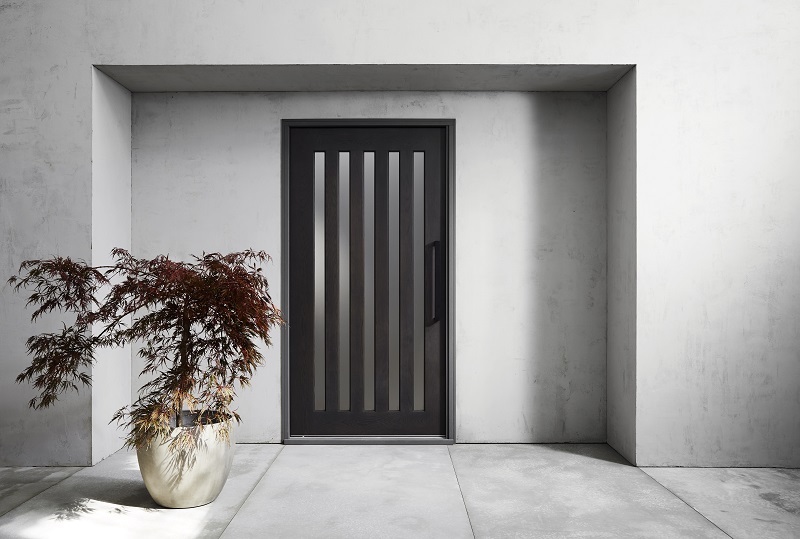 It provides the clean, horizontal shadow lines that instantly evoke a sense of timeless charm and has that beautiful appearance of timber, but is resistant to warping or swelling, fire and damage from termites and moisture. Depending on the size of your building, you can start thinking about adding cladding to aspects of your home. Bring greenery into the home with large palms and vases of blue hydrangeas to create an indoor/outdoor feel that blurs the line between garden and house. You want the whole block to feel like one space. In the kitchen opt for shaker style cabinetry, the extra detail will add visual interest and is perfectly complemented by a subway tile splash-back. With a little more money you can add a lot more detail. The Hamptons is all about keeping colour subtle and then layering on texture. On the exterior bump up the use of Linea Weatherboard as full a wrap if possible and add more shadow lines by fitting HardieGroove to soffits and eaves to make the façade look even richer. 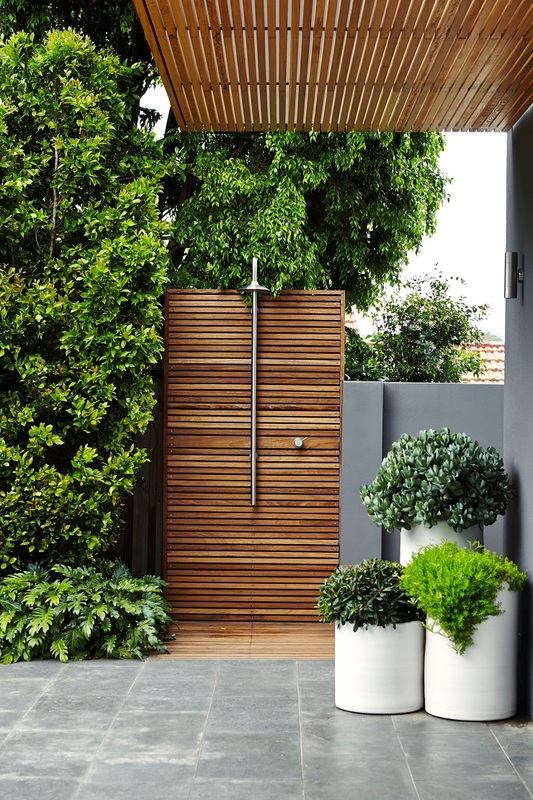 If you have the room, creating an alfresco space will help secure that Hamptons lifestyle of elegant entertaining and further marry the transition between the interior and exterior. Oversized glass bi-fold doors will offer uninterrupted views and add to the versatility of the space while letting an abundance of light into the home. Hamptons is about ease of living, so if you have a bigger budget you can also look at restructuring the layout of the home. 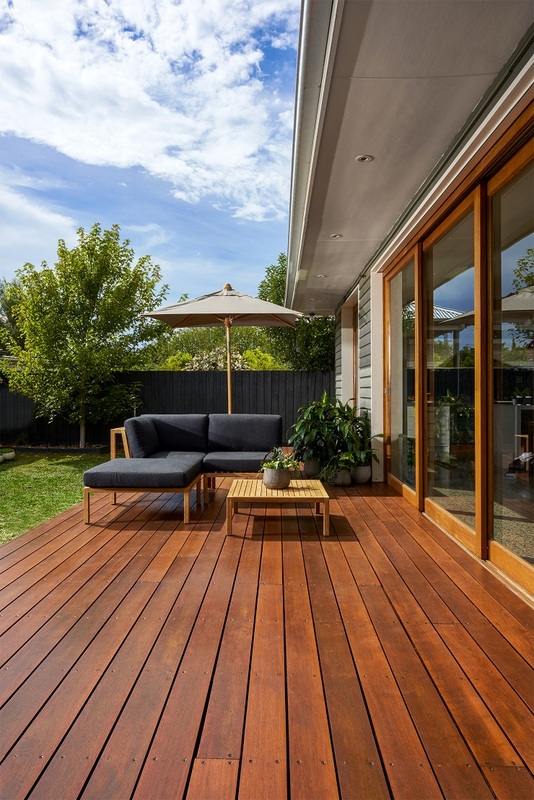 Aim to create an open-plan space and if you are updating your flooring, choose one material to use continuously out onto the deck. Whatever your budget, the key to the Hamptons style is keeping a consistent aesthetic in neutral tones that is ostensibly effortless, but rich in textures and details.